Need a solution to the rising cost of copper-nickel alloys and stainless steel? 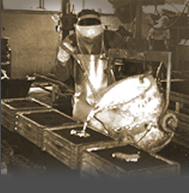 Manufacturer's Brass & Aluminum Foundry has been supplying our patented MBAF174 LEAD FREE copper base alloy to the food processing industry for over 10 years. MBAF174 not only has better ductility than the lead free copper-nickel alloys, it is more easily machined and it’s FDA approved for use in contact with all meat and poultry products. And due to the high cost of nickel, MBAF174 is more competitively priced!!! We supply stock sizes in 13” length of rounds up to 3” in diameter. Click here for current price sheet. 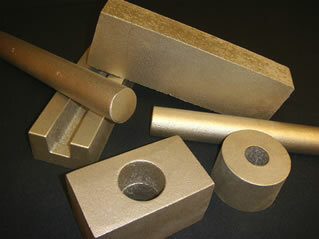 We now have two additional MBAF alloys for the food processing industry. We’d like to show you what we can do to save you time and money converting fabrications to castings and switching to an MBAF alloy from the more costly materials you are now using. Visit the Copper Development Association site and Introduction to Anti-Microbial Copper for an update on the latest information on the anti-microbial properties of copper base alloys.